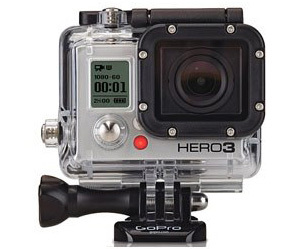 Buy ProAnalyst, get a free GoPro. Many researchers are turning to GoPro cameras as low-cost alternatives to traditional high-speed cameras in the biomechanics, industrial inspection, machinery, media, and other industries. The GoPro Hero camera is an excellent option for motion capture and analysis in certain applications. Order ProAnalyst Professional or 3-D Professional edition, and get a GoPro Hero camera – free! Offer expires August 31, 2015. For more information or to order, email info@xcitex.com or call us at 617-225-0080.